Movie awards season. I have mixed feelings about the awards themselves. Living in proximity to that world, I become ever more aware of all the lobbying and advertising, and how the people who get to vote on such things rarely have time to even watch everything they are supposed to be choosing between… And then there are all the moments where one person wins and another loses — not just a shiny statue, but career opportunities and creative freedoms. It’s fraught. 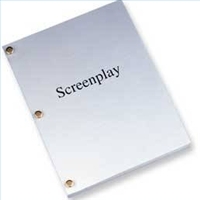 If you’ve never read a script before, it’s fun to look at one for a movie that you’ve seen (and remember!). I’m looking forward to checking out the screenplay for Ex Machina. Posted on October 23, 2015 by barrington99Posted in Culture/Entertainment, Film, ScreenwritingTagged filmmaking, free screenplays, movie scripts, screenwriting. Next Next post: How Frustrating is the DMV, Guys?